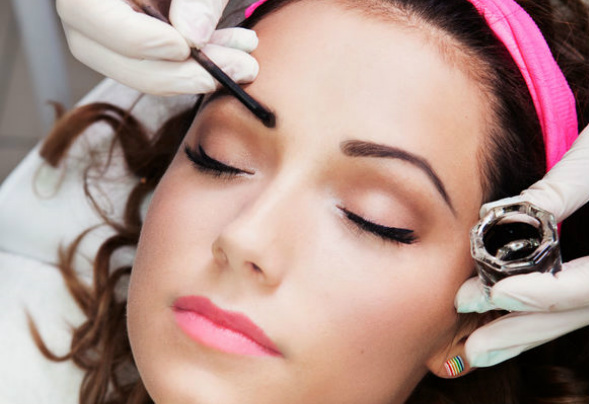 Eyelash/Eyebrow Tinting, Lash Lift, Eyebrow Waxing, Eyebrow Shape and Tidy - Vicki Taylor Complementray & Beauty Therapist. Norwich, Norfolk 01603 514195. Cruelty free and paraben free. Treatments that visibly darken your brows and lashes, frame your face and enhance your appearance. An Eyelash and Eyebrow Treatment can create more definition and visibly enhance the appearance of your eyebrows and lashes. To help frame your face and tame thick bushy eyebrows a Shape and Tidy with tweezers plucking hairs out one-by-one creating a more natural finish working closely with your individual hairs. An Eyebrow Wax removes the hairs from the follicle using the Sienna X wax range. Which helps to soothe and protect your skin, reduce inflammation and regenerate the skin barrier. An Eyelash Tint and Eyebrow Tint can visibly darken brows and lashes really complement skin and hair tone so they look totally natural. So no need to apply mascara daily saving you time in your make-up routine. An Eyelash lift curls and lifts your own natural eyelashes giving them a longer, thicker, fuller look with a gentle curl for up to 6 weeks. The shape of your eyebrows can enhance your appearance by flattering your facial shape, balancing your features and framing your eyes. If you have thick, full eyebrows that need tidying and shaping tweezering is one of the best ways to do this. Creates a more natural finish working closely with individual hairs. Very little discomfort from plucking with tweezers. Last up to 3 weeks. No blotchy redness you get after having your eyebrows waxed. A form of semi-permanent hair removal which removes the hairs from the follicle. New hair will not grow back in the previously waxed area for three to six weeks, although some people may start to see regrowth in only a week because there are new hairs under the surface of the skin and some of the hair will be on a different stage in growth cycle. This can easily be prevented with regular waxing treatments. Peppermint Gelée formula is designed especially for extra-sensitive skin and is both rosin-free and tea tree-free. Uplifting signature peppermint fragrance infused with protecting Echinacea. Perfect for use on large areas and small treatment areas like the eyebrows and face. This warm wax is strong enough to comfortably remove hair whilst remaining gentle enough to be used on all areas. Gold Film Hot Wax has a special film wax formula that applies like a warm wax yet performs like a hot wax. Uplifting signature Peppermint fragrance and Infused with purifying Tea Tree Oil and purifying Echinacea. Removes hair as short as 1-2mm, comfortably. Can be applied in smaller sections for eyebrows, lip and chin. As well as larger areas like underarms and bikini. A skin patch test is required at least 48 hrs before your eyebrow waxing treatment – this is essential to ensure that you aren’t sensitive to Sienna X wax. Very quick method of hair removal. Waxing damages your hair follicles; this is not a bad thing because it reduces the growth of hair. Applies smoothly and thinly, without dragging. Removes coarse hair as short as 1-2mm. 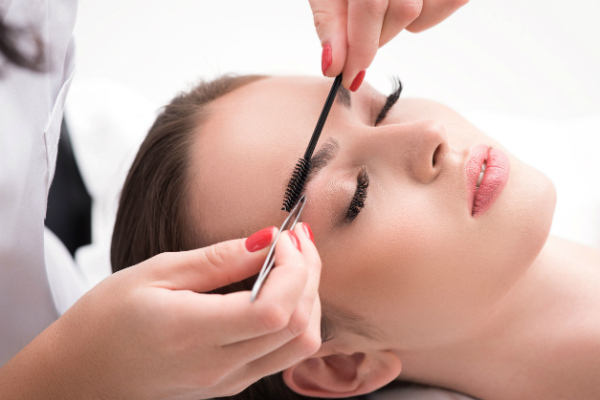 Eyelash Tinting involves careful dying of the lashes and brows with a safe natural semi-permanent colour to give them a natural darker appearance. Tinting gives depth of colour and can give definition to your face. Tinting colours are available in light brown, dark brown and black so they complement your skin and hair colour. 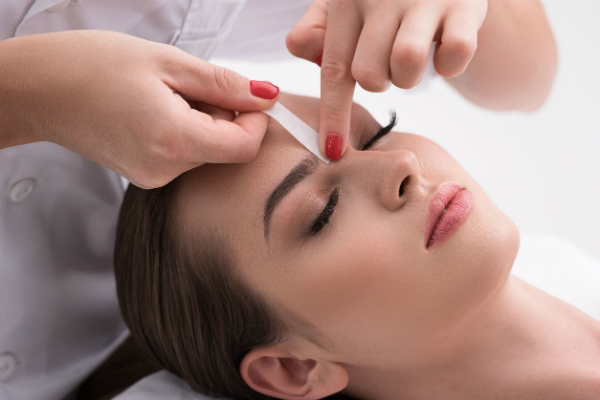 A skin patch test is required at least 48 hrs before your eyebrow waxing treatment – this is essential to ensure that you aren’t sensitive to Refectocil. No running mascara or ‘panda eyes’ after swimming. No need to apply mascara daily. 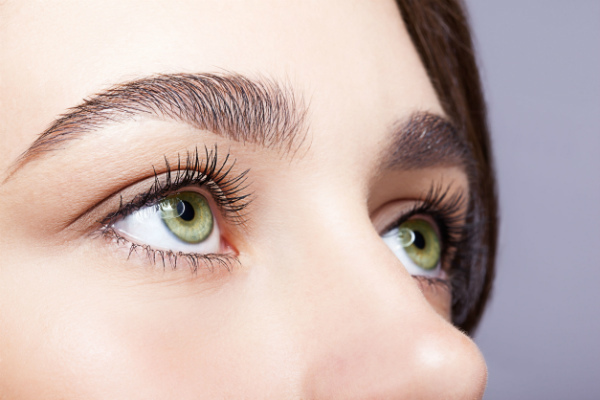 Enhanced pale eyelashes and eyebrows. An Eyelash lift perms, curls and lifts your own natural eyelashes giving them a longer, thicker, fuller look with a gentle curl. Your lashes are lifted using a silicone shield or roller placed on your eyelid. Your natural lashes are secured onto the shield or roller then set using perming and setting solution. There are four shield or roller sizes depending on what length your lashes are and what look you would like to create. A skin patch test is required at least 48 hrs before your Eyelash Lift – this is essential to ensure that you aren’t sensitive to Refectocil. Ideal if you don’t like eyelash extensions. I fully recommend Vicki for eyelash and eyebrow tinting. She uses natural products which I love. She is very professional and carries out skin tests before any treatment. Vicki is affordable and she does a great job every time. It is a real treat!